Description : A bag for the overnight traveler. 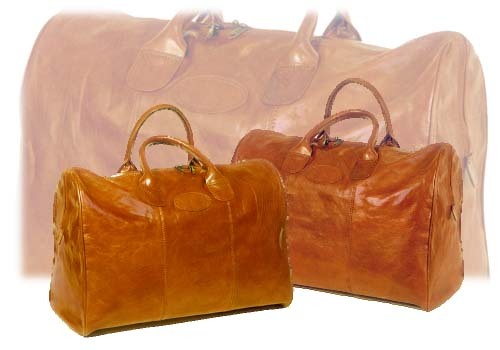 The Italian leather provides its elegance and sturdiness. Size is 57 cm x 25 cm x 39 cm. There is a 19 cm long zip pocket on the inside.